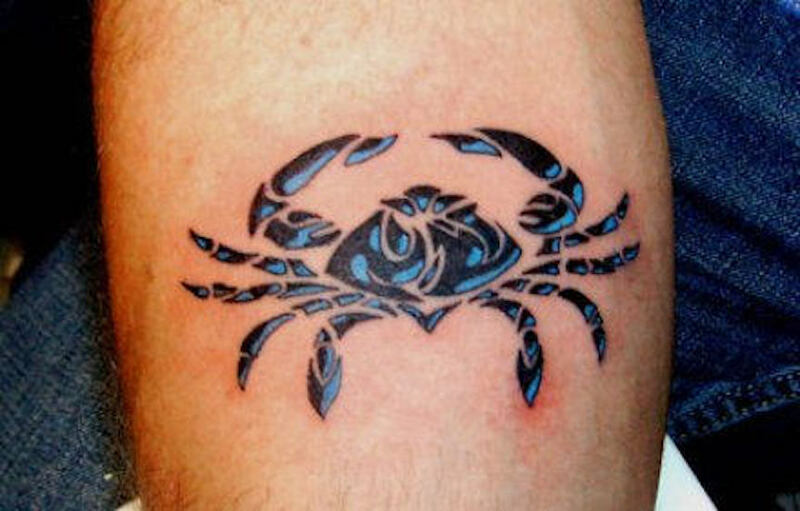 This page features printable Zodiac Symbol Tattoos representing the sign of Cancer. The twelve signs of the Western Zodiac are Aries, Taurus, Gemini, Cancer, Leo, Virgo, Libra, Scorpio, Sagittarius, Capricorn, Aquarius and Pisces. The twelve signs of the Eastern Zodiac are designated by years instead of months, and are symbolically represented by the following animals - Rat, Rooster, Pig, Tiger, Horse, Monkey, Dog, Rabbit, Snake, Ox, ram and Sheep. 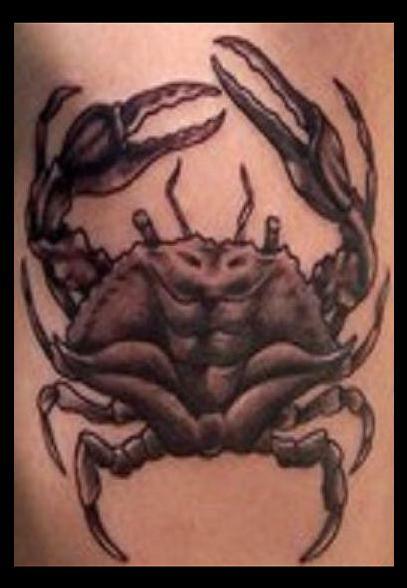 To view a broad selection of more Zodiac Symbol Tattoos, charts, clip art, tattoo designs, and assorted other free printable items, visit any of the links shown on this page. Tattooing, also known as body art, is an internationally popular cultural activity that has been practiced for many thousands of years. According to a recent random phone survey, more than twenty-five percent of American adults have at least one permanent tattoo. 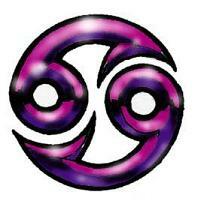 Permanent tattoos are created by injecting colored ink directly into the skin tissue using a fine needle. Each needle poke produces a single dot of pigment, which is why even a relatively simple tattoo can take many hours (or more than one visit) to complete. Permanent tattoos can only be removed without scarring by way of cosmetic laser surgery. On the other hand, temporary tattoos produce a similar appearance that can last several weeks or more. The most common style of temp tattoo is the sticker, which is typically transferred to the skin using water. 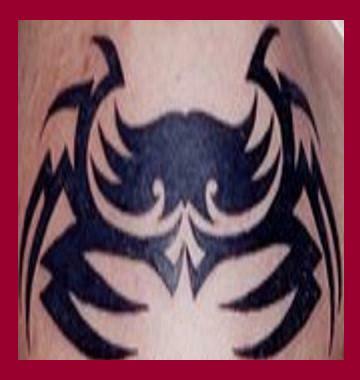 Today's temporary tattoos can look extremely realistic, and are easily removable with mineral oil. To print any of these designs, just right click on the image of your choice and select a SAVE option from your drop-down menu. This will send the image to your picture file. From there you can reduce or enlarge it and adjust the margins as needed before printing. Be sure to alter the design to make it uniquely your own!